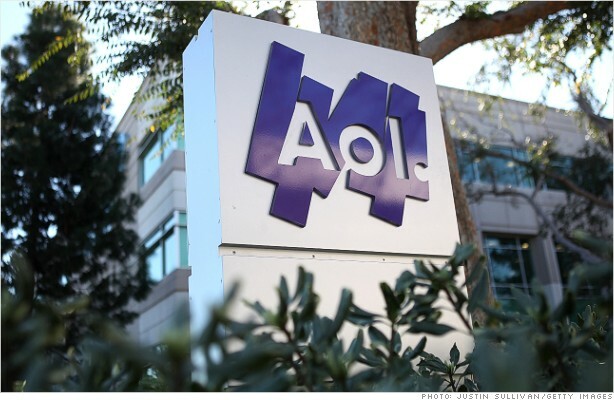 It's the 21st century, and AOL's stock is soaring. And no -- those two facts are not mutually exclusive. Shares of AOL (AOL), an Internet pioneer way back in the 1990s, spiked more than 15% Tuesday after the online content provider announced third-quarter revenues and earnings that beat analyst forecasts. Investors are continuing to place bets that AOL will not only stop its internal bleeding but that a turnaround is afoot. AOL's stock is now up more than 160% in 2012. "We have positioned AOL for growth in 2013 and beyond with consumer and advertiser demand growing for our premium content and innovative products, video, services and ad formats," said Tim Armstrong, Chairman and CEO in a release. AOL's advertising revenue jumped 7% in the third quarter, with the company citing strength outside of the U.S. and specifically for AOL's video unit, the "On Network." After struggling in the past, AOL said its local news experiment Patch grew traffic 19% in the third quarter 2012 compared to last year's third quarter. Still, AOL said that its overall revenues were flat for the quarter. That's because its subscription and "other" revenues dipped by double digits. AOL swung to a $21 million profit for the third quarter of 2012. The company lost nearly $3 million in the same period a year ago. Per a previous announcement, AOL's shareholders will receive a special one-time $500 million dividend in December. AOL has the cash on hand for this dividend after the company reached a deal to sell 800 patents to Microsoft (MSFT) in April 2012 for $1.1 billion. Microsoft later sold 650 of those patents to Facebook (FB) for $550 million. It's been a big year for the 1990s hottest Internet stocks. Not only has AOL hit new 52-week highs, but shares of its competitor Yahoo (YHOO) are finally budging. Its stock is up more than 8% this year and has gained new life since former Google (GOOG) executive Marissa Mayer took over as CEO. Shares of Amazon (AMZN), eBay (EBAY) and Priceline (PCLN) have all surged this year as well.